Self Cleaning Glass | Bedfordshire Windows Ltd. The innovation of self cleaning glass is mainly used for conservatory glass roofs. While maintaining the same highly energy efficient qualities of a standard top specification double glazed unit you will also gain from its additional unique qualities. 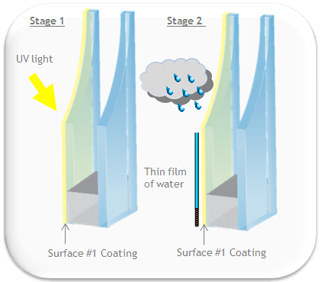 There are options of clear glass or tinted glass that offers sunlight deflection. Click me to find out more about the self cleaning glass innovation we can offer our customers.